Email is universal and isn't affected by country boundaries - an email sent locally can be treated the same way as one sent across the world. The language the email is read in may be different though, which takes us to the next point. At the time of writing there are 6909 living languages - that's over 35 times the total number of countries. We won't go as far as saying that delivering content in all these languages is impossible - we'll go with infinitely improbable. This illustrates that even with a worldwide service it is important to target your audience. We decided on English as the only language because attempting multiple translations would be a lot of work at a stage when we needed to focus on developing our services. In the future we intend to roll out content in Spanish, French and German as these languages are widely spoken throughout the world. 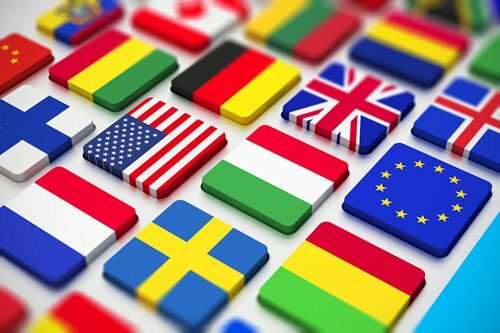 Even though it's not practical to provide translations for everyone, it is possible to tailor content to users in specific countries. Downtime Monkey has specific pages with unique content for (in alphabetical order) Australia, Canada, Ireland, New Zealand, United Kingdom and the United States. We also have adaptive content for almost every other country in the world so that users in Switzerland, for example, will see prices in Swiss Francs, and users in India will see prices in Rupees. People don't like hidden charges and if a customer pays in a foreign currency (for them) their credit card provider will probably charge a foreign currency transaction fee. Also, if a potential customer sees prices in a foreign currency they won't know the exchange rate that will be applied by their card provider, so they won't know the real cost of their purchase. Downtime Monkey supports payments in over 100 local currencies so that users all over the world can buy in their own currency. Unlike email, there can be geographical and network barriers to text messages. When sending texts to users is a part of the service they need to know that they'll receive them. Having a list of countries (and mobile phone networks) that can receive texts and letting customers know whether they can receive texts is important. Our SMS Alerts page shows how we do this. Also, there is no substitute for testing... providing a way for customers to send a test SMS to make sure they receive it is a useful feature.